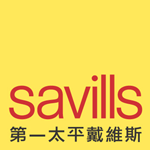 223 Hing Fong Road, Kwai Chung, N.T. Grade A commercial building and direct linked to Kwai Fong MTR Station by covered footbridge. Famous shopping arcade underneath. Good open view on high floors. Ample in-house parking space. Central air-conditioning.